Often it’s very hard to keep up with the amount of new bands that are coming into the music industry left, right and centre. Because frankly, there’s too much. No one can literally listen to them all, because after all, we as a human race have preferences about which genre of music we enjoy and which we may want to stay clear of. And yet, here we are, in 2018, with quite frankly, more new bands unveiling their music this year than years gone by. Think about it- artists like Austin French, Riley Clemmons, Pat Barrett, London Gatch, Mack Brock, Ben and Noelle Kilgore, Tasha Layton, Rachael Nemiroff, Aaron Cole and Branan Murphy, are just a few of many artists that have delivering debut songs/EPs/albums in the confines of the year 2018. And so to add another artist to the mix may seem like an overkill of sorts right? Well, depends. 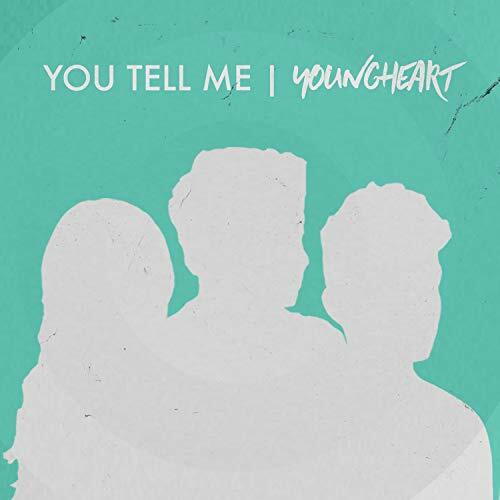 This new band YoungHeart may seem on the surface like another sibling band (a la OBB or for KING AND COUNTRY), yet looking deeper at the songs and the heart behind the formation of the band, and we see a group of 3 siblings (two brothers and a sister) that are on fire for the Lord- and they’re young…really young. Carlos, Michael and Gaby Ubinas make up YoungHeart, and are 19, 17 and 13 respectively. Think of it this way, if an artist infused the likes of Jordan Feliz, Bonray, David Dunn and Castro together, what comes out is what is similar to that of YoungHeart, both in music and in style. Which isn’t really that bad. Initially my thoughts when coming through hearing these two songs was, ‘oh now, are they going to sound any good? They are teenagers after all). Yet my preconceived ideas about them changed when I did hear the songs. Yes, they are teenagers, and yes, they may not sound that polished or refined like many other artists out there in the industry. But they have heart and passion, emotion and emphasis on the gospel, crafting both their songs (‘I Believe’, ‘You Tell Me’) with such great intentionality and passion, something that isn’t as focused in the music industry as it should be. As these three siblings passionately declare in these two songs their love for Jesus, we are met with what I reckon, melodies that will propel these young boys and girls of God to either a label deal, or recognition to the point where they can create some of the most refreshing and unique indie pop I’ve heard this year, thus far! Unveiling two songs so far, both ‘I Believe’ and ‘You Tell Me’ are songs of statement of faith, as we’re reminded how crucial and needed it is to continuously affirm and stand true to what we believe in, in a moment of fickle mindedness and uncertainty. 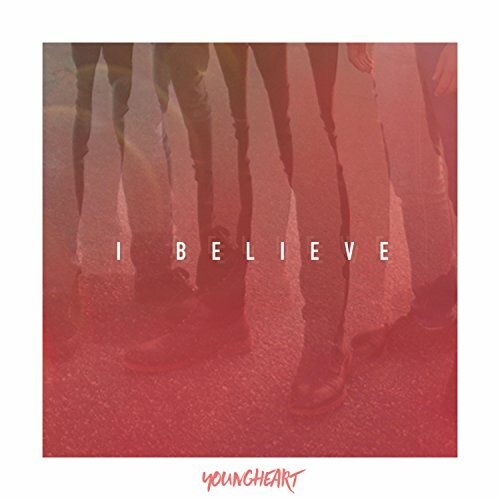 Released in May 2018, ‘I Believe’ is a toe-tapping melody where we see lead singer Carlos Ubinas place on his Jordan Feliz meets David Dunn hat, as he channels a soul-pop vibe. Lyrically, we are reminded full well that we have to believe Christ and everything He has to say, rather than just believing Him. To put it this way, Carlos explains- ‘…we wanted to write a song about the journey of hardships feeling like it might never end. We wanted to take people through that, to tell where God can take them, because He does…The picture of God’s love was Jesus. In the song, we’re not just saying I believe in your love. There’s a difference between belief in God’s love and believing God’s love. Even Satan believes in Jesus. We’re saying we believe in Him AND we believe Him. We believe what He tells us is true, which is that he fights for us and that He is all we need for life. We believe He means that for each of us personally. The world has its own definitions of what love is. But knowing and believing Jesus as true Love is what changes everything…’ Knowing the message behind the song, ‘I Believe’ takes on a whole new meaning, and is hopefully an anthem for anyone who hears it. ‘You Tell Me’ is the remaining single released by the trio, and as Carlos channels his inner ‘Gavin De Graw’ voice, we are presented with a message of God constantly telling us who we are in light of what He has undertaken for us to be with Him. And because of that- we are His and are unconditionally loved; we can have confidence in God’s promises for us- a similar theme and message to Stars Go Dim’s ‘You Know Me Better’. While the song itself can seem a little repetitious; the message is still very much needed in society, even though the music itself can seem a little stale after a few listens. ‘…the Bible says the man plans but God guides his steps. We’ve learned to trust God because you may not know what is happening, but God will still be there guiding you, showing you where to step and where to go…’ [Michael] ‘…Sometimes it can be frustrating especially doing it with siblings! Being so close together all the time…But overall, it can be difficult, but you have to have patience in the process…’ [Gaby] ‘…It’s about trusting God and wanting to be radical in your love for Him. Not that you necessarily have to sell your house or do what we did, but if God is calling you to something the world doesn’t say is normal, that’s okay. For us, hearing how the Gospel has been spread, we don’t really care how it happens. Our goal is to spread the message of the Lord. That’s our hope…’ [Carlos] It is with these three quotes that I leave you with this review, of a couple of songs from a band of siblings that, while on the surface can seem like another run-of-the-mill band, can become, I reckon, an influential band, as we’re reminded that no matter how young we are, we can still influence the world for Christ. A band to check out and be on the lookout for if you are a fan of other similar artists like Bonray, Jordan Feliz or David Dunn, there’s only one way for this trio- up, as the upcoming weeks and months progress. Can’t wait for new material (EP or album?) in the future, in the meantime I’ll have these two songs on repeat. Well done Carlos, Gaby and Michael for these songs, maybe, just maybe, they’ll be recognised and signed in the upcoming year ahead!